We are Lice Cops! You have the right to remain lice free! We recommend combing everyday for the first few days. Beyond that, comb every two to three days for the next three weeks to ensure no more nits or lice are found. Make head checks a part of your weekly routine. Early detection is vital towards stopping the spread. Reduce your child’s chances for re-infestation. Keep girl’s hair pulled back, anytime they are playing with others. Shampoo daily using our mint based shampoo and use our mint based leave in spray on the hair. Comb once or twice a week and watch for signs of head lice. Please have the hair brushed or combed out before arrival to also save time. While we make every effort to consider your child’s comfort, they will be seated for an extended period. If they have a favorite book, toy, or DVD, please have it available. We strongly encourage you to have family members on hand so every member can be checked. This helps minimize the odds of re-infestation and ensures your school that you have done your part in identifying other potential contact issues. DO NOT stress over the cleaning – we will guide you through safe and effective means of cleaning necessary items only after your lice removal service have been completed. Before our arrival to your home, it’s extremely important to go through this check list. This will save time and money. Here are our suggestions after we complete our in-home lice treatment removal: We guide you to a safe and effective long term solution. 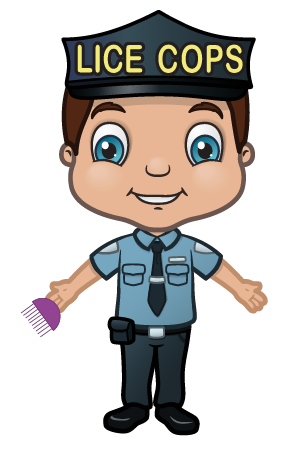 Our pricing is straight forward, We go right to the scene of the crime.Lice Cops arrives discreetly and quickly and will check each family member for lice and nits..